My mom and I are very similar people; it's almost like we share the same DNA or something... We both love to shop, participate in daily exercise routines, and have more cheat days than we probably should. I realized all of this at an early adolescent age, but with what life was throwing at both of us it was nice for us to check in with each other during our trip from Wisconsin back to Las Vegas. My mom just bought this brand new Crazy Plum purple Dodge Charger and wanted to take it on a road trip. I guess driving your car for a week straight is one way to break it in. I was sitting in the car soaking up all of my passenger seat privileges on Day Two of our 10-hour drive when I realized something. These chances are not going to come very often anymore. With me being fresh out of college and my mom thinking about advancing in her career, our lives are going to become very busy very quickly. 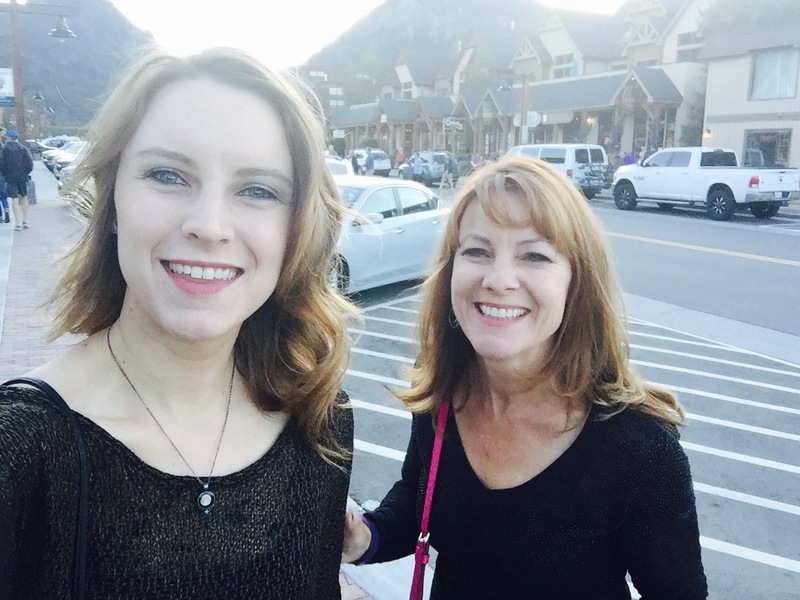 I got to thinking that every mom and daughter should go on a road trip together at some point in their lives. If I learned anything growing up, it is that time goes by too fast. It will be hard to make the time between our busy schedules in the future, so I am glad we were able to make the time now because it turned out to be an enriching experience. Make today the day; because as cliché as it is, these opportunities won’t last forever. So, if you still need some convincing, here are a few more reasons why this is such a good idea. 1. You might pick up a hobby together. We tried to memorize the 50 states and capitals. I think we did pretty well, but I would need her on my team if I were put to the test. The beauty of modern day technology is that you have a world of information in the palm of your hand. Anything, like memorizing the presidents or researching a topic together, is right under your thumb. Let's face it; we're not getting any younger. I just graduated college, and I'm exploring my opportunities. My mom has two masters, a full-time job, and a family to raise and she is still discussing potential options for her too! Having these conversations with someone wiser and more experienced can be extremely eye-opening. As a team, we needed to map out our routes and plan for stops. We were in total control. Mom drove the whole time, and I supplied directions, sight-seeing options, and documentation of all the places we drove through. It took me an hour and a half to book a hotel for the night because we wanted to gauge how far we were willing to go and wanted to make sure it was easy to get up and go. I know that's a cliché, but it's true! Mom and daughter teams attract attention. We stopped in at a bar and grill in Omaha, Nebraska and we had barely got to looking at the menus when the waitress comes over and informs us a group of gentlemen wanted us to do shots with them. The poor waitress look mortified asking for them, but she was a good sport about it. HELLO?! You get to travel somewhere new! That should be reason enough. While driving through Colorado, we came across this cute little town: Frisco. It was a mix of luxury and casual living. We both thought it was the most charming town. Also, as a Vegas child, I am not experienced in the Midwest at all. We stopped in a city just outside of Omaha and wouldn’t you know it, the one night we stay there the weather report indicates a severe thunder and lightning storm. I’m a total foodie. I love the flavor and trying new plates. My favorite part about traveling is my next meal. We kept our stops at chain locations to a minimum and tried to zero in on the local eateries. I enjoyed this restaurant in Colorado called 5th Avenue Grill. They had amazing black eye pea soup. In route towards Utah, we stopped at Homemade Heaven Sandwich shop. The reviews on Yelp said the Avocado turkey sandwich was “on fleek.” They were the bomb, to put it mildly. I'm glad we took time out of our busy schedules to make the trip. I know I appreciated it and it was good to get some quality mother-daughter time in. In the midst of it all, we were able to enjoy each other’s company, expose ourselves to some new destinations, reminisce, and learn every single word to Justin Timberlake’s “Can’t Stop the Feeling.” What are you waiting for? Get your planners out, grab your mom and plan trip!